To mark the release of Photoshop CS6 (as well as the rest of the Creative Suite) we have combined the list of 7 tutorials that were posted everyday for a week on our social network pages. These tutorials covered everything from the photo manipulation to the step-by-step guide of the logo design process. Just in case you have missed it, here’s all and every single one of it, should you like to test your skills. This tutorial will take a break from the ordinary stuff and go into a fantasy world. It will teach you how to build up your own micro society using many different pictures and some cool photo manipulation techniques. This tutorial will treat you with a step-by-step guide through the logo design process. 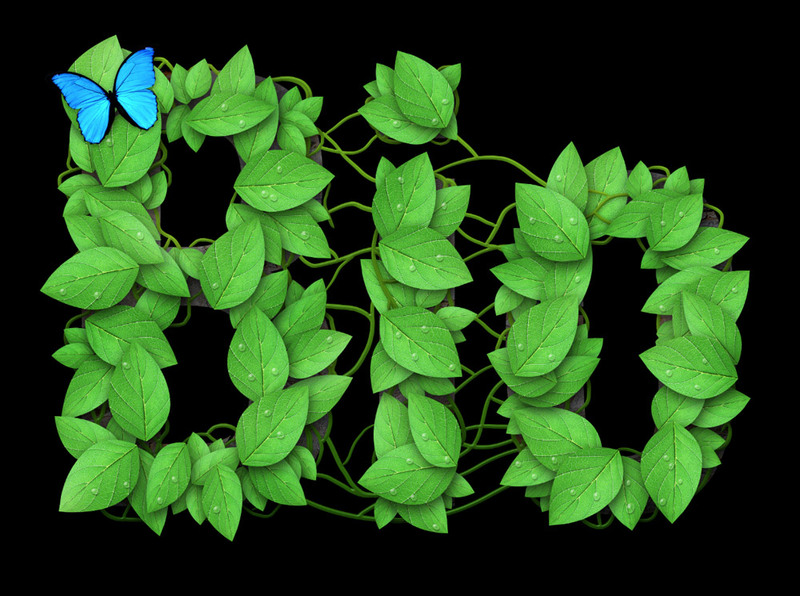 All the way from the very first step in making a single leave to the creation of a complex combination of vines, shadows, lights and everything else that result in a slightly too over-done logo design. Probably one of our most favourite ones. Brilliant and rather comic concept with an excellent result! 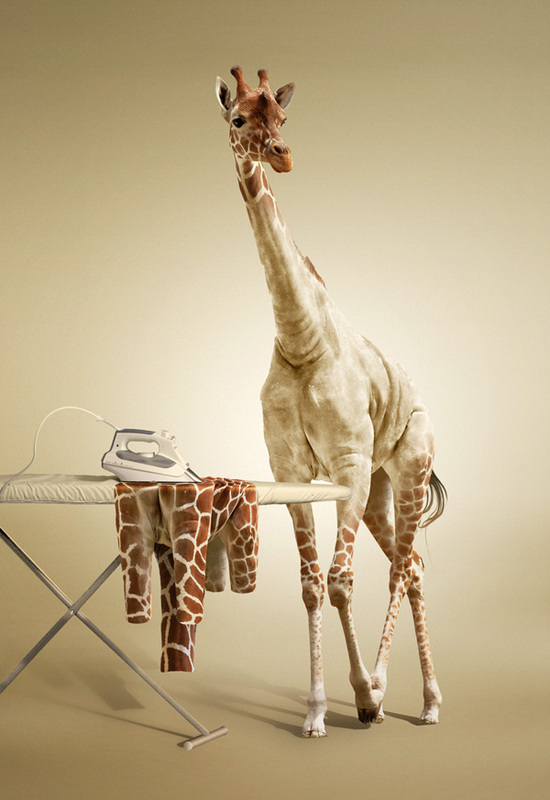 This tutorial will guide you through a step by step guide on, well, how to undress a giraffe in photoshop. Enjoy! Tutorial for Thursday brought you ’back-to-basics’ offering a re-introduction to the ever amazing warp tool. Remember, it does not need to be over-complicated to produce some truly great results! 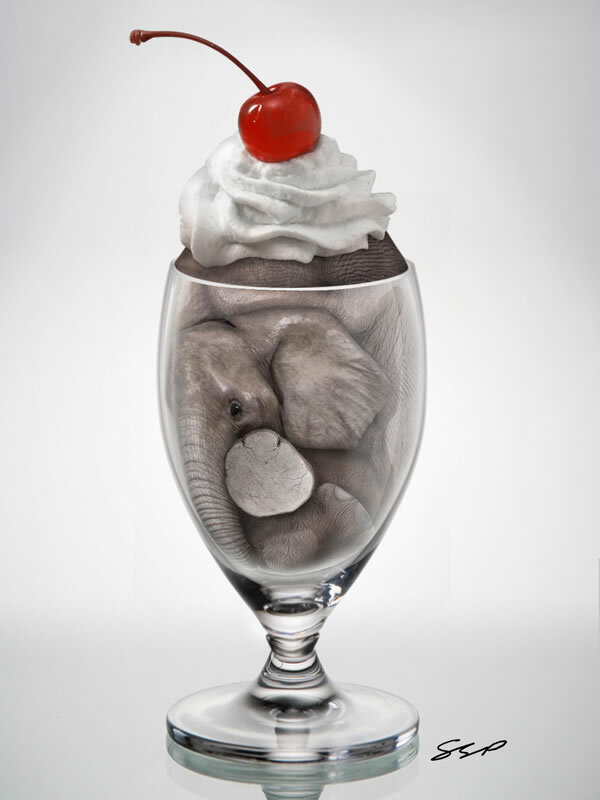 As the start of the weekend called for a celebration, we offered to put a cherry on the ’Elephant Sundae’. This cheeky tutorial offers you an in-depth guide of squezing an elephant into a tiny glass. Great concept and no animal rights activists involved. 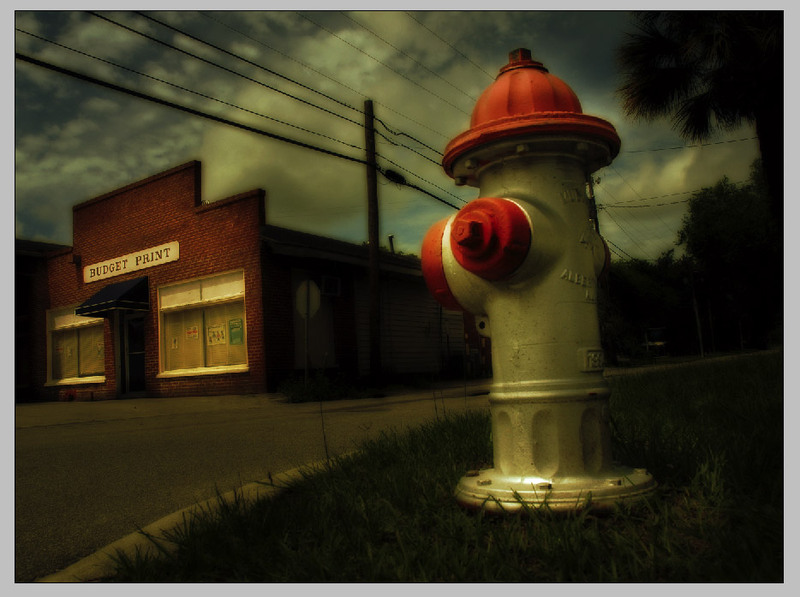 This tutorial offers you an insight into the technique that transforms your ordinary photo into something with a touch of ’surreal’. A truly great alternative to instagram, however requiring few more steps. 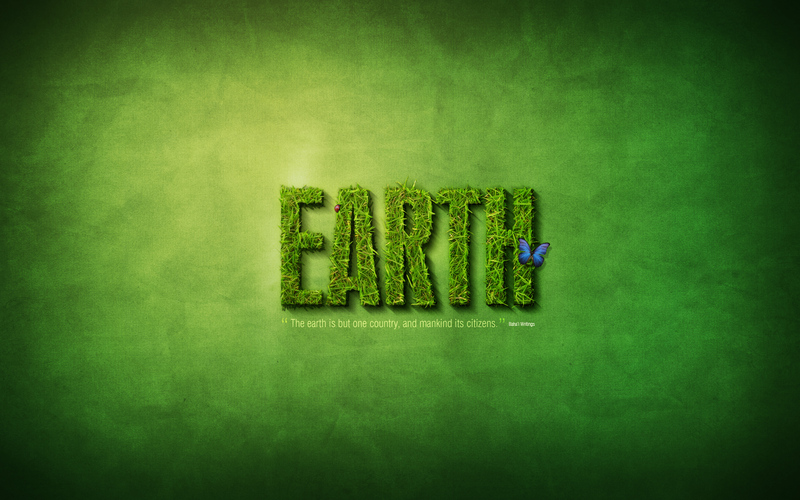 And to wrap up the week that marks the release of Photoshop CS6 we shared this brilliant tutorial that makes your text a little bit ’down to earth’. 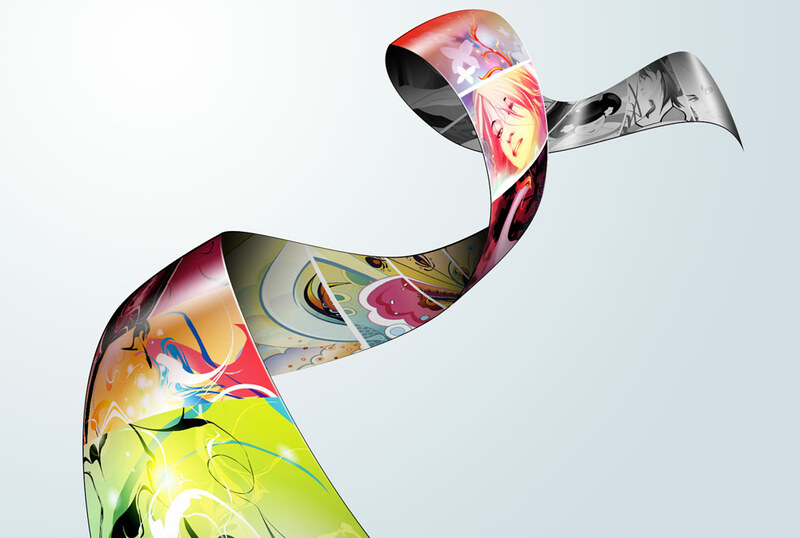 We hope you are enjoying Adobe’s latest and greatest software and had some great time re-creating those pieces shared in this post. And if not, at least got some good tips for your own projects.